Over the years, Cyprus has evolved into an attractive destination for international businesses mainly due to its friendly taxation and legislation systems. This development has been facilitated by the country’s strategic geographical location and excellent telecommunications infrastructure. Cyta, the incumbent telecom operator in Cyprus, has played an important role in developing the island’s telecommunications and establishing Cyprus as a telecommunications hub in the Eastern Mediterranean region. Cyta is the biggest telecom provider in Cyprus and its product portfolio covers the whole spectrum of electronic communications, ranging from fixed and mobile telephony to internet service provision and broadband applications. Through its strategic business unit Cytaglobal, the company is particularly active in the area of subsea cable systems and satellite communications, providing wholesale products and services on a global basis. Cyta boosts an impressive national and international network through which, it serves international businesses operating in Cyprus. Such businesses and offshore companies use Cyta’s international infrastructure and services to connect directly and securely to their headquarters abroad. “The decision making units of most of the businesses interested in international connections from Cyprus are abroad. It therefore makes sense for us to focus on serving foreign telecom operators, who in turn serve these international customers instead of trying to secure directly the end-customers ourselves. We want to be the first choice for these partners” says Polis Anthousis product manager of Cyta’s international leased lines. 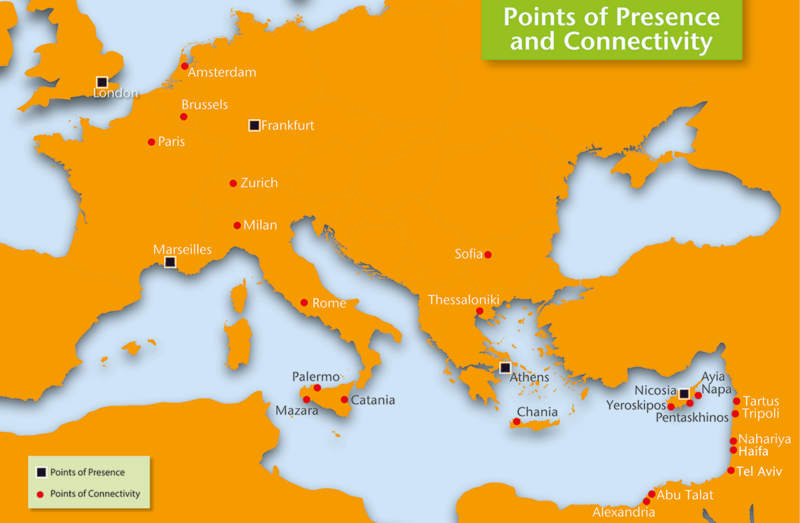 Cyta provides three types of international connections: SDH, Ethernet and IP/MPLS. “During the last few years, we have been experiencing a very high demand for international Ethernet connections. 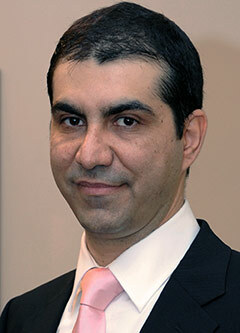 However there is still a significant number of customers who prefer the traditional SDH technology” says Mr Anthousis. 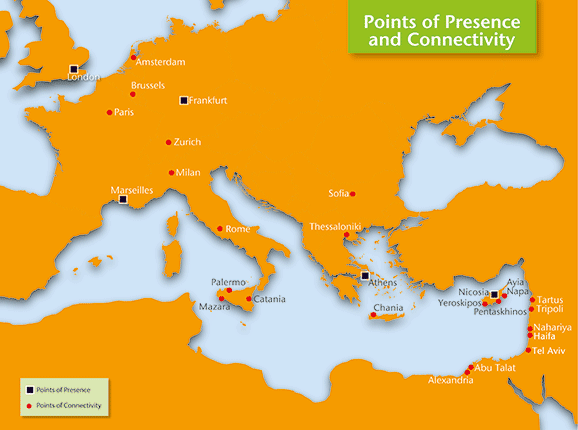 Cyta’s national network has an extensive coverage enabling the company to offer connectivity throughout Cyprus. 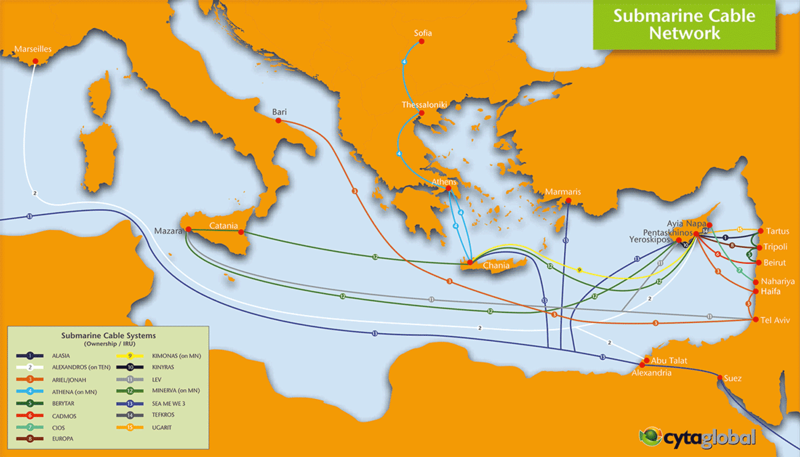 Furthermore, Cyta’s international network utilizes multiple subsea cable systems and three geographically separate subsea cable landing stations to connect the island to several Cyta’s PoPs abroad. “We do not wish to engage in a price war with our competitors; of course we are constantly adjusting our offerings so as to be competitive but our main objective is to differentiate ourselves not on price but on other factors such as coverage, diverse routings, protected services and of course quality”. Customers using Cyta’s international leased lines include banks, financial institutions, shipping, IT, telecoms, government and others. “We are in this market for more than 55 years and we have the competence and experience to understand and cater for our customers’ requirements. Furthermore, we employ some of the best engineers in Cyprus who can design robust solutions and provide top-notch after sales support” says Mr Anthousis.